Due to the request of many of our users we added a new feature to Xoyondo: limited meeting polls. 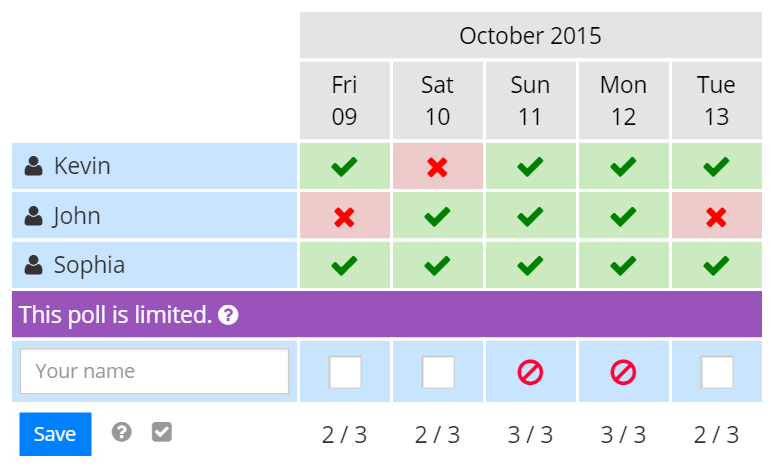 As administrator of a poll you can now limit the number of participants for each suggested date. If the limit for an option is reached it cannot be chosen any longer by the participants. Limited meeting polls are useful if there is only a limited number of places for an event. Limited polls can therefore be used as registration form.